Being diagnosed as coeliac means you must follow a gluten free diet for the rest of your life, however it doesn’t mean you can’t enjoy delicious and delectable food every meal time. Initially, you might feel overwhelmed trying to understand which foods you can and cannot eat, but it’s important to remember that there are plenty of naturally gluten free foods you can still eat – including lean meat, fish, poultry, beans, eggs, vegetables, fruits, nuts and seeds – that are nutritious and healthy. From main meals such as spiced quinoa and chickpea wraps, to breakfasts like crumpets with chocolate spread or even desserts like apple compote, it’s possible to keep a healthy and balanced diet which includes all the nutrients your body requires in the long-term. Fibre is essential for maintaining a healthy weight, improving bowel movement and balancing blood sugar. However, a gluten free diet means you can miss out on the right amount – the recommended intake is 24g of fibre a day, but most people (including non-coeliacs) only eat around 14g. Because the lining of your gut is damaged from eating gluten, your body can’t absorb nutrients as easily. This results in a number of nutritional deficiencies. Commonly, coeliacs don’t get enough vitamins and minerals such as folic acid, vitamin B12, vitamin E, selenium, iron, calcium and vitamin D – this is why it’s important to include foods that contain these lost nutrients. Our Warburtons Gluten Free Pharmacy range has been developed to provide essential nutrients, as well as calcium and iron. This is because these contain natural compounds called phenols that inhibit the absorption of iron. Damage to the small intestines leads to malabsorbtion (failure to fully absorb nutrients from the gastrointestinal tract) of important bone-building nutrients. All of our bread and rolls are fortified with calcium and are dairy free. Other vitamins the body needs include vitamin D, magnesium, vitamin K, boron, silicon, vitamin C, zinc and protein. Many of these nutrients are abundant in gluten free grains like wholegrain rice, buckwheat and quinoa, as well as nuts, seeds and leafy green vegetables. At Warburtons we believe that everyone should be able to enjoy beautifully baked bread. That’s why we’ve built a dedicated gluten, wheat and dairy free bakery in Newburn, Newcastle to produce our free from range. All our products go through gluten, wheat and dairy free testing and have Coeliac UK’s seal of approval to put the Cross Grained symbol on each of our packs. This is internationally recognised as being safe for coeliacs. The Warburtons Gluten Free range is available to order from your local pharmacy. This range includes fresh white, brown and seeded loaves, our white and brown rolls (all of which are fortified to be high in calcium and provide a source of iron), white baguettes, white and seeded thin rolls, also known as Sandwich Thins in supermarkets, plus our deliciously baked Bran Crackers. The breads are baked to order to ensure maximum taste and freshness. Find out more about the delectable range of baked goods that make up our specially baked Warbutons Gluten Free range. 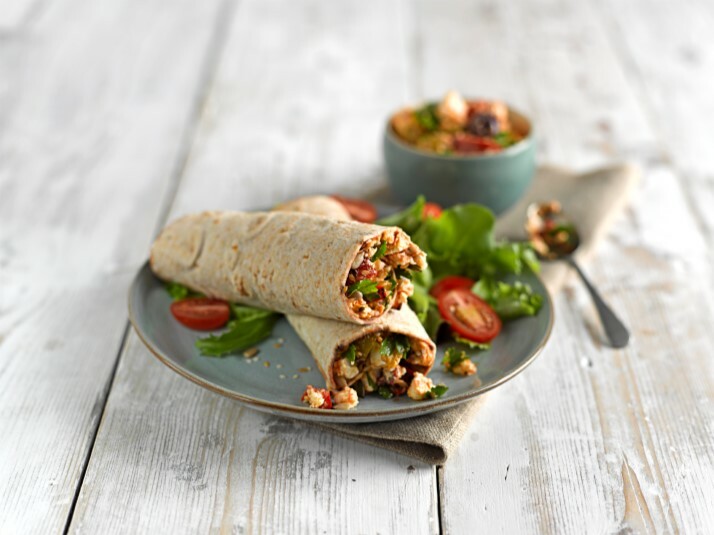 A gluten free lifestyle can take some getting used to a first, but as this page shows it is still possible to enjoy a healthy and tasty diet - Take a look at our dedicated meal plan for more ideas. For more information you can sign up to our mailing list where you’ll be kept up to date with our latest products, news and more. If you have any questions you can email us or phone our team on 0800 243 684 and we’ll be more than happy to help.